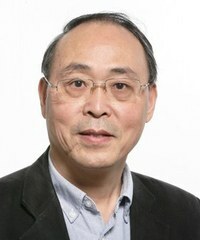 Prof. Xiang Zhang, Royal Society Industry Fellow at University of Cambridge, has over 34 years combined academia (17 years) and industrial (17 years) experience in materials science and biosensors science and technology. Prof. Zhang is Principal Consultant and Head of Medical Materials & Devices of Lucideon. Zhang’s industry experience was gained in leading an international healthcare company, where, as Principal Scientist and Principal Technologist, his work covered almost all aspects of min-medical devices (such as biosensors) from R&D and manufacturing support to failure analysis and QC. Zhang also worked as Director of a technology company, in the field of nano-conductive materials and diagnostic medical devices. In the last 3 years he has published three books “Inorganic Biomaterials” (2015), “Inorganic Controlled Release Technology” (2016) and “Science and Principles of Biodegradable and Bioresorbable Medical Polymers” (2017. As a materials scientist, he is passionate on “Science for Industry “and believes fundamental but applied sciences are the keys to solve industrial problems as well as develop good products that are much-needed by the society. Prof. Zhang undertook his PhD and postdoctoral research at Cranfield University where he studied materials physics and nano/micro-mechanics and fracture mechanics of polymeric hybrids (organic and inorganic). After spending a further four years on research for industrial applications, he was awarded an industrial fellowship at the University of Cambridge in 1995, where he carried out research on polymer ductile to brittle transition employing synchrotron X-ray (SAXS, WAXS) to study in situ deformation and fracture at nanometre scales, the results of which lead to completion of ductile to brittle transition theories in view of nano-mechanics and nano-fracture mechanics 1st time in the world. Prof. Jordi Arbiol graduated in Physics at Universitat de Barcelona (UB) in 1997, where he also obtained his PhD (European Doctorate and PhD Extraordinary Award) in 2001 in the field of transmission electron microscopy (TEM) applied to nanostructured materials. He was Assistant Professor at UB. From 2009 to 2015 he was Group Leader at Institut de Ciència de Materials de Barcelona, ICMAB-CSIC. He is President of the Spanish Microscopy Society (SME), was the Vice-President from 2013 to 2017. 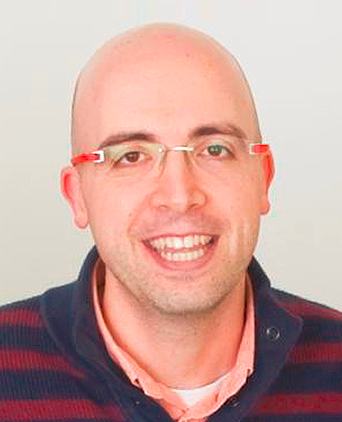 Since 2015 he is the leader of the Group of Advanced Electron Nanoscopy at Institut Català de Nanociència i Nanotecnologia (ICN2), CSIC and The Barcelona Institute of Science and Technology (BIST). He has been awarded with the EU40 Materials Prize 2014 (E-MRS), the 2014 EMS Outstanding Paper Award, listed in the Top 40 under 40 Power List (2014) by The Analytical Scientist and the PhD Extraordinary Award in 2001 (UB). Pr. Luc Avérous is a Group (BioTeam) Leader, Head of Polymer Research Department at ICPEES (UMR CNRS 7515) - University of Strasbourg (France), Head of Joint Research Lab (Mutaxio) and former Lab Director. He started as Polymer Engineer (EAHP-Strasbourg). Then in 1995, he obtained his PhD in Polymer Sci. & Eng. (Ecole des Mines de Paris). After two post-doctoral positions (Ecole Polytech. de Montreal-Canada,), he became A/Prof. at the Packaging Eng. School (Reims) in 1997. Finally in 2003, he became a Full Professor at ECPM (Strasbourg), where he teaches biopolymers science, biomaterials, composites, polymers characterization & processing. During the last two decades, his major research projects have dealt with biobased and/or biodegradable polymers for environmental & biomedical applications. As a leading international expert in these fields, he has developed strong collaborations with several foreign labs (Australia, Brazil, Canada, Spain,) and major companies (Total, Soprema, Tereos, PSA,). He serves as a member of research advisory boards for different companies. In France or overseas, he is regularly invited to co-organize Conferences, to chair Symposia, and to give plenary or keynote lectures. He has co-edited 4 books (2 Wiley, Elsevier & Springer). He is a member of several Editorial Boards, and Guest Editor for scientific journals. He is a referee for many scientific journals, books and international projects. Copyright © ICNB 2019. All Rights Reserved.